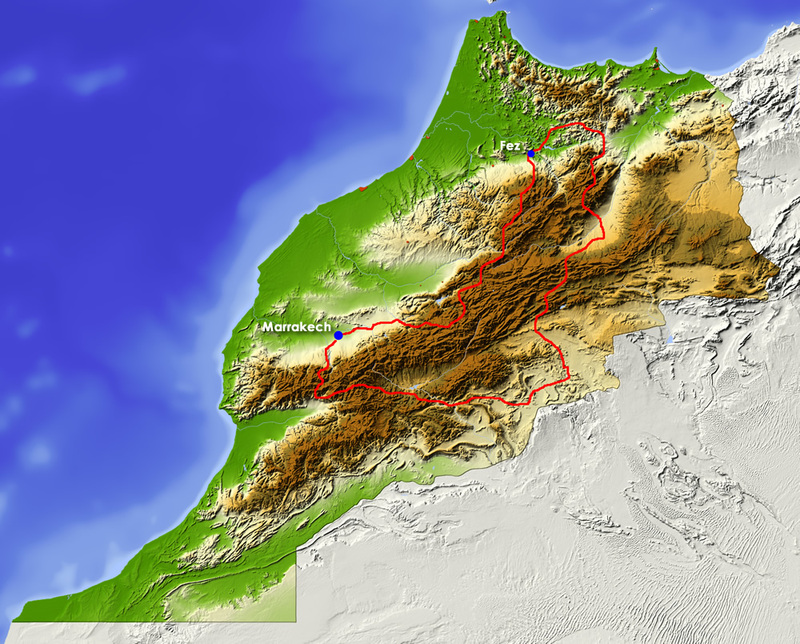 Morocco is ideal motorcycling country! You travel through a wealth of diversity and imposing landscapes. Your ride takes you through woods and desert, over plains and rolling hills, through bare and rugged mountains, deep canyons, and over mountain ridges with passes over 2500 meters high. You come past isolated, traditional villages and impressive Kasbahs, but you also visit the famous, centuries old imperial cities Marakech and Fez. This tour often takes you over remote little roads that rarely see any traffic, partly asphalt, partly ‘piste” (not asphalted). These ‘pistes’ are do-able without much off-road experience. Weather circumstances can sometimes cause some parts to be more difficult. Morocco is not just desert, Morocco has much, much more to offer. It is a totally different world!